Home Apple iPad iPad 3 iPad 3 to be Announced in March 2012! iPad 3 to be Announced in March 2012! 2011 was the year of iPad 2 and iPhone 4S and now there is a very strong possibility of the iPad 3 being announced in upcoming month of March. So re you waiting for it? What are the new things in the Apple iPad 3? 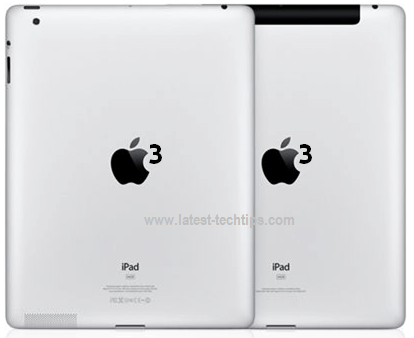 Here are the possible new features in iPad 3? There is a very strong possibility of Siri making debut in iPad 3. A new and faster processor chip. An improved camera for clicking and video conferencing. It is also said that the iPad will be similar in looks the same way iPhone 4S was same as iPhone 4. After Apple announces the iPad 3 its expected to hit the stores in the next 2 to 3 weeks. Who should buy the iPad 3? Especially those who are waiting for it. Especially those who have an iPad 1. It will be interesting to see if Apple continues to keep the iPad at $499 or it goes lower or higher. Also which feature will make people again to stand in line to get their hands on the new iPad 3.